When it comes to my hair, I'm very lazy. More often than not you will find me with either a pony tail or top bun just because its so much easier than washing, drying and straightening my hair every morning. I would definitely rather have an extra hour in bed. Not to mention I don't like to wash my hair everyday, I like it to soak up that oily goodness. The Lee Stafford Dry Shampoo Dark has been a real life saver for me an is fast becoming my holy grail product that you won't see me without. 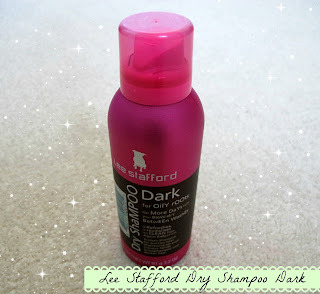 Using Lee Stafford Dry Shampoo couldn't be easier. I like to brush through my hair and lift it up and give it a quick spray, this lets you get right to the roots. I do this all over my hair and then rub it in with my fingers and hey presto your ready to go! Well where do I begin. This product really does refresh your hair and extends the time you can go between washing your hair. With my dark hair, I find that when I use other dry shampoos I look like I've aged about 50 years and suddenly I have grey hair. Not exactly the look I'm going for. With the Lee Stafford Dry Shampoo in Dark, it blends into my hair naturally so no need to frantically try to brush the grey out. 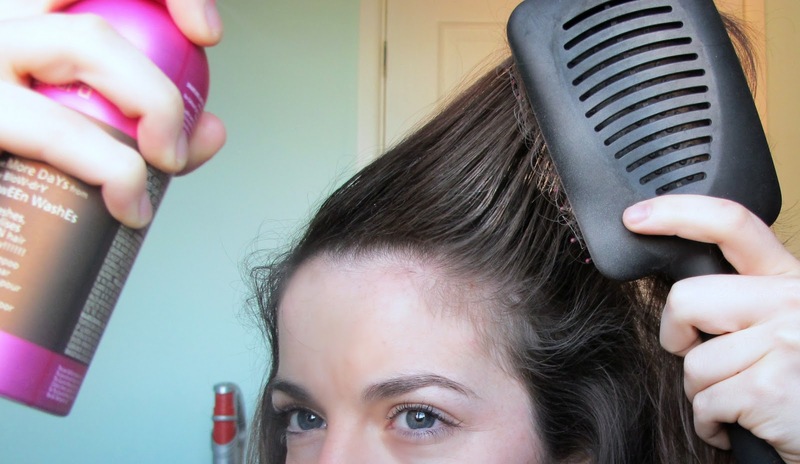 It is also perfect for giving extra volume. I often find my hair can look like its been freshly blow dried after using this product. Throw in the cute pink packaging and the ease of use and this baby pretty much has everything you could need. Theres not much bad about the actual product but it is quite expensive. If you use this as much as I do then you'll find paying £5.49 for a can quite an increase from a £2 can of Batiste. But Boots are always doing 3 for 2 on Lee Stafford products and thats when I try to stock up! 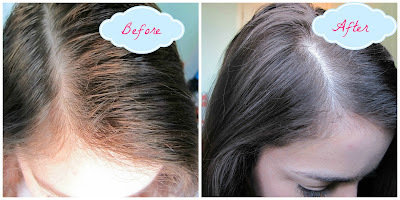 I definitely think that everyone with dark hair like mine should try this product out. It does everything it says and fits perfectly into your daily routine. April Empties: What I loved last month!